Danspace has a variety of renters offering an array of classes and workshops. Scroll down to see more information on Indian Classical Dance, Gentle Yoga, NIA Technique, Mindfulness-Based Stress Reduction, Duncan Dance, Speech Therapy and Music Together! Contact renters directly to attend a class. 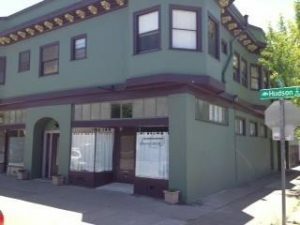 Danspace is located in the heart of the Rockridge district. It is walking distance from BART and there is plenty of parking in the neighborhood. Amenities include walking distance to restaurants and retail stores, Hardy Dog Park and Frog Park. Both studios are equipped with a CD player & aux cord. Heat is available in both studios. No street shoes are allowed in the studios. Both studios are wheelchair accessible. Studio 1 has a piano. sprung floor has a “marley” surface, therefore special care must be taken to not damage the surface which is designed especially for dance shoes, socks or bare feet. Ideal for small children’s classes, and in particular, yoga, which may need to use the wall for poses. There are no barres or mirrors. The room has a door for privacy. 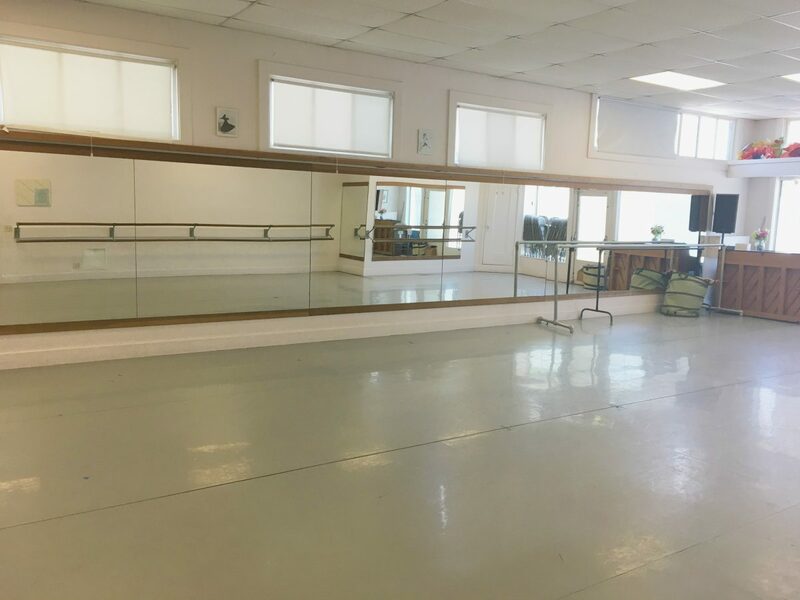 Our studio rental fee is $25.00 an hour for classes and rehearsal space in 2018. Beginning January 1, 2019, our rental rate will be $26.00. For parties or performances there are additional fees as a Building Manager will have to be on site. 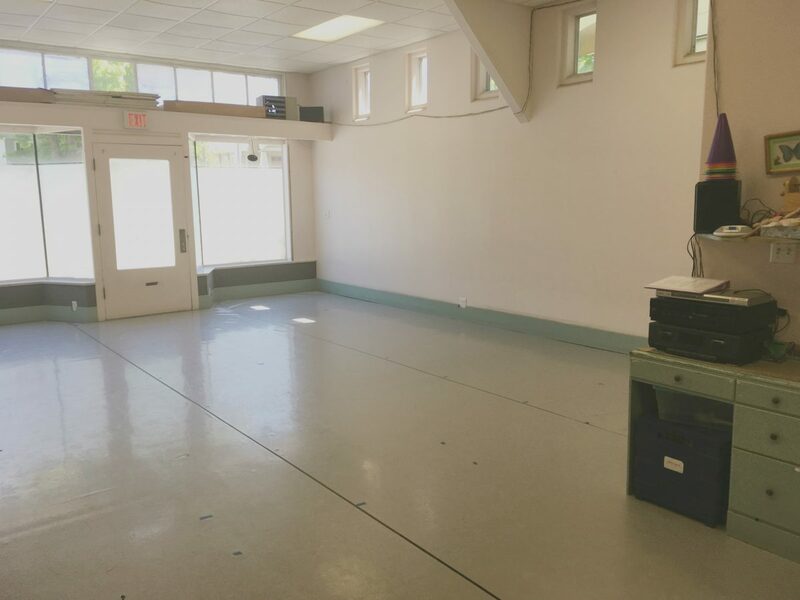 We primarily rent studio space to teachers who offer weekly classes on an annual basis. Danspace rents to local dance companies and choreographers on a project basis if space is available. Bounced Checks: We pass on a $35.00 fee for any checks returned by our bank for insufficient funds. Renters must provide proof of personal liability insurance to rent the studio. In a Music Together class, up to twelve children and the adults that love them meet for 45 minutes each week for ten weeks to experience songs, chants, movement activities, and instrumental jam sessions. Both adults and children sit in the circle and participate, led by a teacher with early childhood educational and music skills. You will find high energy movers and quiet observers all intently involved in their own way in the exciting musical happenings around them, whether it’s a rousing Israeli wedding dance, or the glorious sounds of Big Ben’s bells and chimes played on resonator bars. We create a comfortable, encouraging environment that respects individual temperaments and learning styles. The Isadora Duncan Project, Inc. was founded in 1999 to continue the tradition of passing down the direct heritage of Isadora Duncan. Ongoing dance classes are offered for adults. Its performing group,the Isadora Duncan Repertory Dancers, presents Duncan’s extant choreography. Adult Classes: Duncan elements are taught as class moves from floor, to barre, to center through traveling rhythms. Exercises free the torso and build stamina. Selected repertory is introduced in each class. Emphasis is on dancing! Previous dance experience is recommended. Adult Classes are taught by Christina Bergren Fessenden. A graduate of UC Berkeley, she began her Duncan studies with Mignon Garland in 1974 performing under her direction with the San Francisco Duncan Dancers until 1977. At that time, she along with several of Garland’s former students started their own company, the Dionysian Duncan Dancers. A co-founder, she was artistic co-director of that company from 1977-1995 conducting classes and touring extensively throughout California for many years. Included in their Duncan repertory were several group pieces choreographed and taught by Maria-Theresa. In the 90s members of the DDD made several trips to Russia where they received coaching from former members of the Moscow Duncans. They gave their final performance at the Kremlin in 1995. For more information about attending this class, please contact Christy Pape via email: delerium@comcast.net or phone (415) 652-1637. This ongoing weekly class blends traditional vocal exercises and improvisatory singing with movement, meditation, and posture practice. It is an immersive exploration intended to reveal and support your authentic voice. Class meets Tuesday evenings. So, it is like yoga class with singing…? For more information or to enroll, email EmbodiedSinger@gmail.com or visit the website. This is a fitness class geared towards baby boomers like you! Designed for beginners, we start with a warm up, move through standing and floor exercises and stretches and finish with relaxing breathing and meditation. Each class builds upon the last so join us twice a week to get the most benefit! Cope with your daily stress and make new friends! Leah Greenberg Flaks, RYT500, CIYT (certified Iyengar yoga teacher), has taught classes since 1997, and has studied ballet, modern dance and Pilates. Gospel Grooves classes are held every Thursday from 7-8pm at Danspace. Gospel Grooves is a group exercise dance class. Our classes are centered around spiritual, physical, and social wellness. We cater to all fitness levels. Our classes are fun, energizing, and easy to follow. Veteran teachers, Aggie Brenneman and Deepa Natarajan, will resume teaching Bharata Natyam for new and experienced students from Kindergarten and up(special arrangements can be made for interested pre-schoolers). Mindfulness-based Stress Reduction (MBSR) is considered the gold standard of stress reduction by doctors and the tens of thousands of people who have benefited from this program worldwide. The 8-week series includes meditation, gentle yoga, education about stress reduction, and mindful communication exercises. This highly respected approach has been research-proven to reduce anxiety and pain. The class is appropriate for a diverse range of people—parents, pregnant people, healthcare providers, business people, people using wheelchairs—as each person learns to trust the wisdom of their own body and mind and to modify movements as appropriate. Reba Connell is known for her warmth, humor, and intelligence. She has completed several levels of study in teaching Mindfulness-Based Stress Reduction, including a professional training program under the direction of Dr. Saki Santorelli and Dr. Jon Kabat-Zinn. No drop-ins after the orientation, please. NIA classes are offered at Danspace on Monday and Friday from 9-10am with Alexis Mulhauser. Alexis Mulhauser has been practicing Nia for over 20 years. In addition to teaching Nia, she is a certified Breema practitioner and instructor, and teaches Breema classes in the Bay Area, as well as abroad. Alexis also is a yoga teacher and somatic educator, and also does Essential Oil personal consultations. Please contact Alexis directly for any questions: yoginialexis@gmail.com. Shelly Ross is a teacher’s teacher. She has twice been awarded the honor of Best of the Bay from Diablo Magazine. Shelly is a black belt Nia teacher with 25 years of teaching Nia throughout the Bay Area. Shelly teaches Nia every Wednesday @ 8:50am and every 2nd Saturday of the month @ 9am. Please visit Shelly’s website for more information @ www.shellyross.com or feel free to email her at shelly@shellyross.com. Combining dance, martial arts, and mindfulness, Nia tones your body while transforming your mind. More than just a workout, Nia is a holistic fitness practice addressing each aspect of your life – mind, body, and soul. The practice of Nia is for every person to discover, explore, unleash, and enhance their individual potential to live a healthy and meaningful life by engaging their senses and listening to their bodies. Nia is based on the intelligent design of the boyd . Each workout brings mindfulness to your dance movement experience leaving you energized, mentally clear, and emotionally balanced. Nia cardio-dance routines combine 52 simple moves with dance arts, martial arts, and healing arts to get you fit in 60 minutes – body, mind, emotion, and spirit. Nia is practiced barefoot, and adaptable to individual needs and abilities. Alexis teaches Self-Breema and Breema classes in the Bay Area: www.greetinghealth.com.